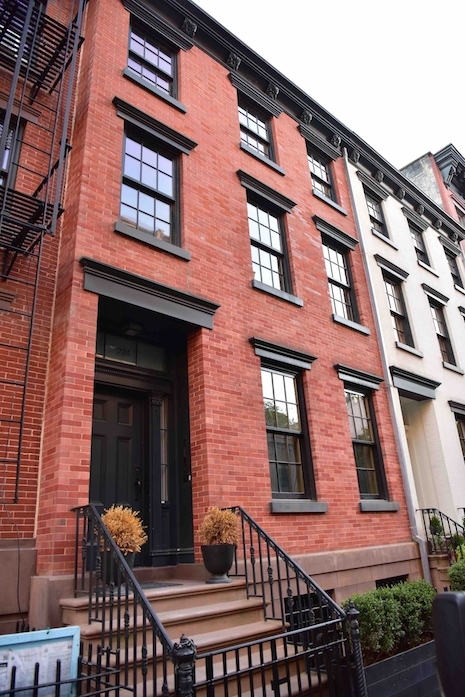 This is the West Village 13.5 million dollar townhouse that Bradley Cooper bought for Irina Shayk and their little girl Lea. The 21 foot wide home has five floors with a huge and luxurious master taking up the entire top floor. It’s 4000 sq feet and has four bedrooms and 4.5 baths along with many frills. 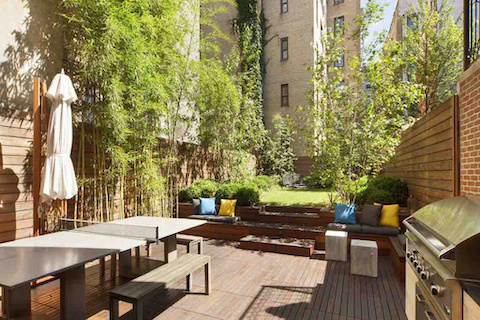 Our favorite feature is the nice backyard with grass – perfect for city children. Until Irina came along, Bradley was living with his mother and we wonder if she will move nearby since she’s the #1 babysitter. 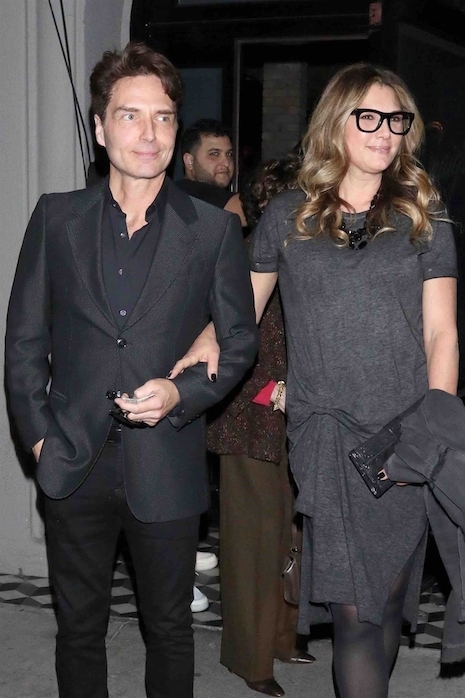 Richard Marx and Daisy Fuentes have been married for three years and they’re still affectionate like newlyweds. Richard has been trying to sell the lakeside 30,000 sq ft mansion near Chicago that he shared with his first wife Cynthia Rhodes – they divorced four years ago and the house has been on the market since then. 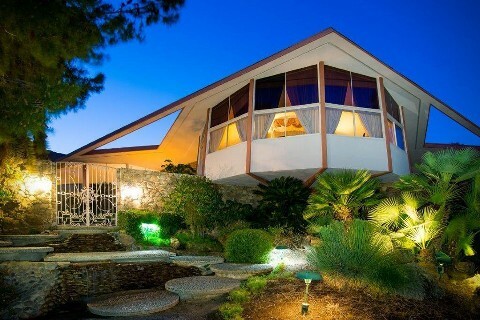 He originally asked 18 million for it but gradually the price has gone down to 9 million. We’re thinking the reason is: location. It’s in Lake Bluff, Illinois, and the lake view is nice, BUT that ice cold wind blowing off the lake makes winters bitter and miserable. Richard and Daisy now live in Los Angeles and today they were seen happily holding hands on their way to the Med Men cannabis dispensary in West Hollywood. Kathy Griffin’s house in the Hollywood Hills has been on the market for awhile, and it finally sold for four and a half million dollars, according to the LA Times. Is she downsizing? Not yet. 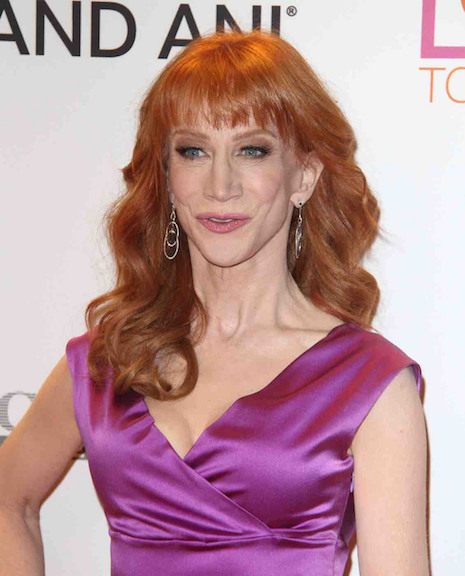 Kathy bought her current 13,400 sq ft Bel Air mansion last year (before the Trump photo debacle) for nearly 11 million dollars. Yes, this is the house where she has a restraining order against her volatile neighbor. Whether she can afford to KEEP the big house remains to be seen. She’s handling her “blackballing” by badmouthing Andy Cohen and TMZ’s Harvey Levin, yet she wants to remain a friend to the LGBT community. Actually, her gay fans are the core of her success as a comic, and we predict they WILL help her make a comeback. 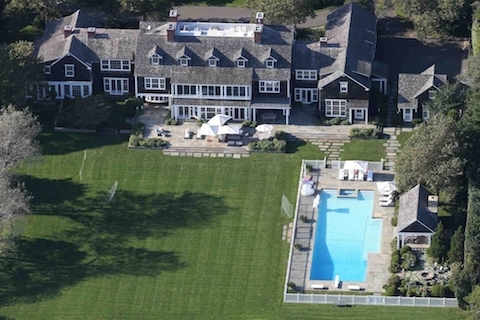 But whether her comeback is enough to support an 11 million dollar house remains to be seen. 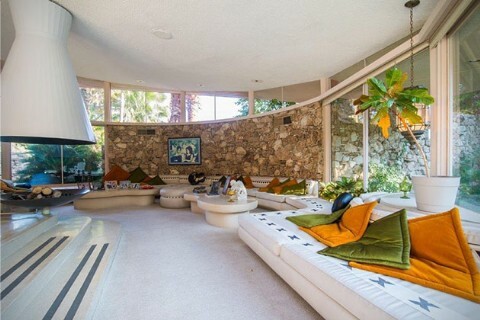 Real estate developer Mohamed Hadid might not be the nice guy you thought he was. Being the father of two of the most spectacular models – Bella Hadid (above) and Gigi Hadid – has brought him considerable notoriety. But now he’s had criminal charges filed against him for repeatedly ignoring LA’s zoning and planning rules while building a gargantuan mega-mansion in Bel-Air that has the neighbors furious. The house is too big and too tall and hangs over the edge of a hill, threatening the houses below. Wealthy developers have been flaunting the rules and using teams of lawyers to stall court proceedings for the past decade or so. We suspect there’s plenty of payola going on too. Right now the fate of the 100 million dollar-plus mansion is up in the air, as is Hadid’s freedom. It’s like an HGTV episode – Goldie Hawn, 70, visits the construction site of the new house she’s building in Pacific Palisades every few days to make sure it’s progressing to her satisfaction. She’s been keeping an eye on the construction guys for over a year now and a lot of final decisions are being made. Unfortunately, we hear that it looks like just another McMansion (faux Tuscan) but we hope our source is wrong. After 14 years away from movies, Goldie agreed to play Amy Schumer’s mother in an untitled mother/daughter comedy next year – Amy’s writing it. From this photo it looks like Goldie has her First Wives Club lips back…. 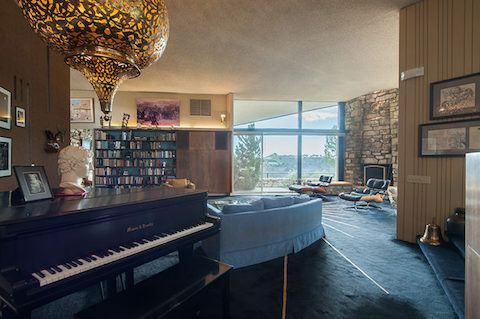 We are still REELING with joy from a visit to the home of the late Charlton Heston. (Estate sale) Much of what we remember about the actor was negatively tied to his NRA association. But he was a much different person than we imagined. 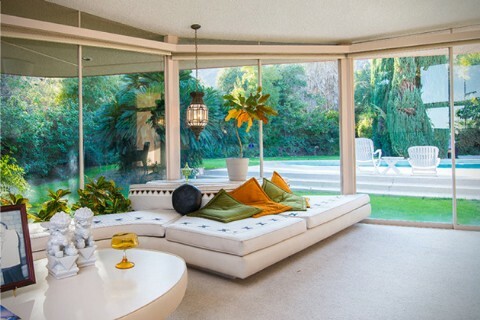 He built his Coldwater Canyon dream house in 1959 with Ben Hur money and the help of architect William S Beckett. And he cherished every carefully thought-out inch of it. (Incredible!) The actor was far more intellectual than we expected – his library and book collection was amazing. And his appreciation of art was evident in his huge collection. Heston was married to his wife Lydia for 65 years until he died, and his two children are both educated and successful and admired their father. Forget politics. He was evidently a decent and intelligent man. Could you ask for more? Click HERE for more house photos! Maybe this WILL be a civilized divorce. Ben Affleck is reportedly remodeling a wing of his 8700 sq ft Pacific Palisades home for his own private use. There were trucks and evidence of construction going on there today. It will include a separate bedroom. Since he and Jennifer Garner announced their divorce, he’s been living at home. This way he can spend lots of time with their children when he’s not on location shooting movies. Apparently both parents are happier and get along better living separately. And this way they won’t have to give up the large family home.